Yes, I can explain it very clearly. The Russians colluded with the Democrat muslims/communists which was planned by Obama/Soros to insure that Hillary Clinton would win and Obama paid Mexico and Central America to empty out their prisons and bring in all of these illegals by plane, train, and bus to corrupt the election. The kicker was when Obama told the illegals on TV – that illegals can vote and NOTHING will happen to them. And, as the story goes – three million illegals voted for Hillary Clinton and it has been documented. The Constitution states – 20 years for voting illegally. 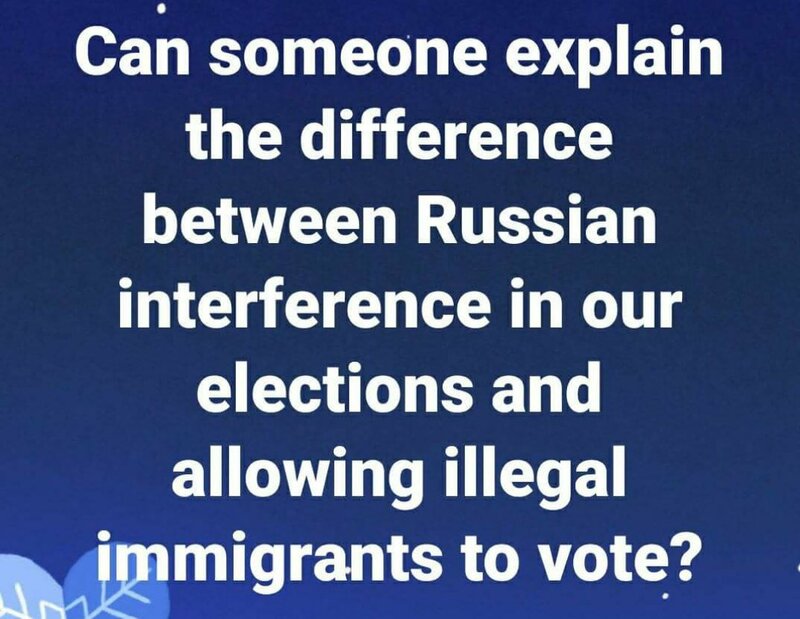 Still waiting for justice to be served on these illegal voters. Now it is time to gather all of these illegals and ship them back to where they came from. The law is the law – either you abide by the law or you don’t have a country. Plain and simple. Got to have an ID with photo and finger print.